← Bank of Japan announces plan for massive inflation of the Yen, as US Fed curtails dollar monetization (QE). What does it mean for you? I have accepted an invitation to be the featured guest on Bartertown Radio on Saturday, December 13. Bartertown Radio, which describes itself as “your educational station for Trade,” is a Live Radio Talk Show every Saturday Morning at 11:00 EST ( check your local time please). My interview will be all about moneyless trading and exchange innovation, particularly as it applies to the commercial trade exchange business. To listen in and/or share your thoughts you can call 1-347-989-8557 for the show. Calls can be made using any phone or by using your Skype account which provides calls at very low cost especially for those living outside the U.S.
As the years pass I become ever more aware of time as a scarce commodity, and as the global mega-crisis intensifies, I feel a greater urgency about the need to transcend the global interest-based, debt-money system that is driving us to destruction. Thus I am eager to pass on to the next generations the important insights and discoveries I have made over the past 35 years. I am intent on doing this in ways that will have a greater impact than the presentations, workshops and writings I have been producing over the past many years. While I relinquished my formal academic career decades ago in favor of independent inquiry, scholarship, writing, and consulting, I remain a teacher a heart and am making it my highest priority to offer a course in the Principles of Exchange Innovation. I am quite sure that there is no other course like this anywhere, and I am uniquely qualified to conduct it. It is my intention to guide dedicated cadres of change agents through an intensive process of inquiry, discovery, and planning to bring to market revolutionary structures and processes for value exchange that promote a sustainable economy and have the potential to usher in a new equitable and peaceful economic paradigm. I am willing to go wherever suitable venues might be found. I’ve considered offering this as an online course, and that can be one component of it, but I believe that the impetus toward timely and effective action requires the continuity and intensity that comes from the regular face-to-face interaction and ongoing collaboration in a classroom setting. You can find the detailed course description and syllabus here: https://beyondmoney.files.wordpress.com/2014/12/principles-of-exchange-innovation-course-syllabus.pdf. Prospective course participants and host institutions are invited to fill out the short form at http://wp.me/P43RA-Ea. If you know of other institutions, departments, or individuals that might be interested in participating, please pass this along to them. My two week trip to California in October could not have been better. It started with the Living the New Economy Convergence that was held in Oakland, October 23-24, and ended with a delightful visit with my dear friends, the Lub family, in Napa and Martinez. In between, I gave another presentation at the Institute of Noetic Sciences, attended an open house at the new Oakland offices of Berrett-Kohler Publishers, and conferred with several long-time friends and colleagues. The convergence was the best conference I’ve attended in many years—well organized, with excellent presenters, and participants that were enthusiastic, well-informed, and intelligent. A few of the presentations, including one of my own, were recorded by Bitcoin magazine. My presentation during the panel on The Future of Value Exchange can be found in my blog post here. Links to the others can be found here, and a few photos that I took at the Convergence can be viewed on my Picasa Web gallery. If you would like to see a more detailed report on this event, check out this one on the Shareable website. The convergence was followed by a two day “hackathon” that gave participants an opportunity to brainstorm together and propose ideas, collaborations, and business projects. Sergio Lub’s pictures from that part of the event (October 25) are on his Flickr site. The event at the Institute of Noetic Sciences (IONS) on the evening of October 30, was very gratifying, drawing about a dozen participants, many of whom I’ve known and worked with over the past several years. My presentation titled, The Evolution of Money and its Potential to Improve Humanity, was followed by a lively discussion that went on for more than 2 hours. The entire proceedings were video recorded by Sergio Lub and can be seen via my blog post at BeyondMoney.net. The day before I left to return to Arizona, Sergio and I visited our friends who run the Sonoma GoLocal project. This is an exciting project that goes well beyond the conventional “buy local” agenda. A few years ago, Sonoma GoLocal initiated a merchant rebate program, which is gradually becoming more popular. According to Terry Garrett, about 17,000 swipe cards have been issued to consumers and there are now 53 merchants offering “Reward Points,” with each merchant choosing their own percentage rate of rebate that varies from 2% to 10%, with the median rate being 5%. Over the past year they have experienced a growth rate of about 20% in both the number of participating merchants and the number of cardholders. Between January1 and September 30, 2014, the amount of transactions involving either issuance or redemption of Reward Points was about $3.8 million with that number expected to reach $5.5 million by year’s end. 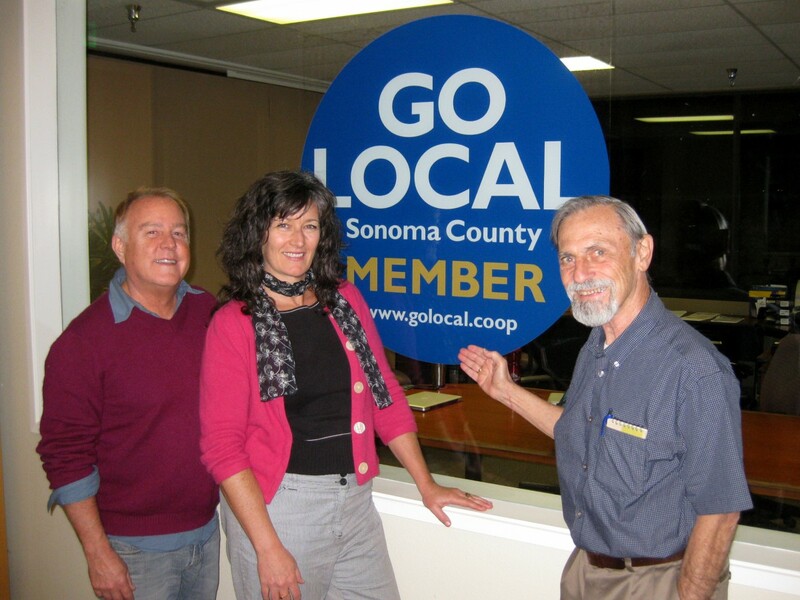 Sonoma GoLocal has been publishing both a printed pocket guide and a free bi-monthly magazine that help to make the project financially viable. You can see some photos from our meeting, including cover photos of the publications here. I would like to make everyone aware of a major conference that is upcoming next June 4-7. This conference, to be held on the campus of Pomona College, located in Claremont, CA, is the result of several events held in conjunction (10th International Whitehead Conference, 9th International Forum on Ecological Civilization, Inaugural Pando Populus Conference, Pilgrim Place Centennial Celebration, and Process & Faith Summer Institute) and will consist of 12 Sections divided into approximately 78 Tracks. Each Track will have 8 sessions, which will be 90 minutes each. After my meeting with renowned philosopher and theologian, John Cobb, a couple years ago, he invited me to participate in this conference which he was then helping to plan. I will be presenting in Section I, The Threatening Catastrophe: Responding Now, Track 6, Political Collapse: The Alternative. You can get all the details, and register at http://www.ctr4process.org/whitehead2015/. I’m aware that in today’s information-rich environment people tend to be overloaded and getting their attention is becoming ever more difficult. Short videos on YouTube, Vimeo, or other video showcases are probably the best bet for getting a message across. I’m hoping to find someone with the requisite editing skills to help me parse some of my recorded presentations into short topical lessons. That, combined with a new book aimed at the mass market, might attract the kind of attention, and provide the essential information needed to dispel false beliefs that prevail in the minds of the general public and stimulate the kinds of fundamental structural changes that are becoming ever more urgent. 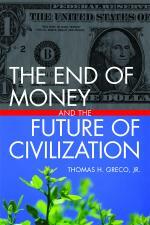 I’m inclined to give this new book a provocative title, like Everything You Know About Money (And Banking) Is Wrong! It would follow a question and answer format that presents first a fundamental question, then the orthodox answer and prevalent belief, then the truth of the matter as I have come to see it. This project is of course a major undertaking, and if it is to achieve the kinds of results hoped for, calls for some skills and resources that exceed my own. Collaborators and suggestions are invited. 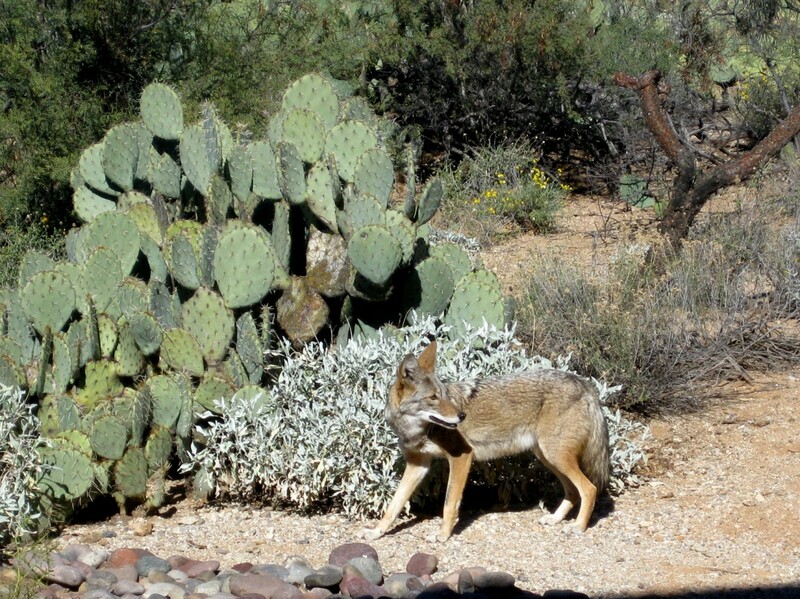 Finally, on a personal note, after spending the summer in Bisbee, I’ve reestablished myself in Tucson, sharing a house on the far east side, close to the Rincon Mountains and Saguaro National Park. Though a bit distant from downtown, it is in a lovely, peaceful setting—rather ideal for creative work. My accustomed robust health has been disturbed in recent months by some digestive difficulties. A course of medication and a combination of dietary changes and natural supplements seem to be resolving the worst of it and I’m hopeful that I’ll soon be back to normal. Best wishes to all for a Happy Holiday Season, and may the coming year bring a great leap forward in creating a more peaceful, just, and sustainable world. This entry was posted in Developing Alternatives, Education, Finance and Economics, My activities and tagged Bartertown Radio, Institute of Noetic Sciences, Principles of Exchange Innovation. Bookmark the permalink.